A first meeting of the Ministries of Internal Affairs of Azerbaijan and Uzbekistan chaired by the First Deputy Ministers of the two countries, Major-General Davron Nazarmuhamedov and Lieutenant-General of Police Vilayet Eyvazov, was held, Uzbek media outlets reported. In the course of the talks, the parties exchanged views, accumulated experience in the fight against crime and ensuring law and order. During the meeting, the parties discussed the current state and future prospects of the activities of the units of the parties to exchange information in the field of combating terrorism, extremism and illegal migration, cooperation in the fight against common crime and investigative activities, the state of interaction between the units of the parties in the area of transportation security, and ways to improve it. In conclusion, the parties signed a protocol on cooperation for 2019-2020. 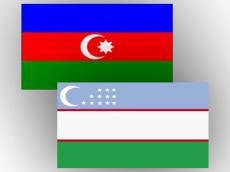 Diplomatic relations between Uzbekistan and Azerbaijan were established on October 2, 1995. To date, more than 110 bilateral documents have been signed between the two countries. Thus, over the past period of 2018, both countries maintained active contacts in a wide range of areas. These include the visits to Azerbaijan of the delegations of Uzbekistan led by first Deputy Chairman of Senate of Parliament of Uzbekistan Sadiq Safayev, Deputy Speaker of the Legislative Chamber of the Parliament Sarvar Otamuratov, Minister of Employment and Labor Relations Sherzod Kudbiyev, Defense Minister Abdusalom Azizov, Minister of Culture Bakhtiyor Sayfullaev, Interior Minister Pulat Babajanov and others. At the end of 2017, the trade turnover between the two countries amounted to $31.2 million, of which $26.2 million was accounted for exports of Uzbek goods and only $4.9 million fell for imports.